In the event that a party breaches a contract there are several different remedies that may be available depending on the nature and severity of the breach. Some breaches may be so minor as to warrant no action, for example, serving a notice by second class mail when the contract stipulates first class post (unless any loss could be shown that was a direct result of the slower delivery). Others, however, may be very serious and could cause the contractual relationship to come to an end, or to cost one party a substantial amount in losses. This article explores the remedies for breach of contract: damages, which can either be liquidated or unliquidated, and the various equitable remedies. In the majority of cases, remedies are by way of damages. Liquidated damages are a sum that is fixed between the parties that becomes payable in the event of a breach of contract. There is however a distinction to be drawn between a genuine estimate of loss and a ‘penalty’, which the court will not enforce. A recent example of this is the recent decision in which bank and credit card charges were deemed to be excessive and not a genuine estimate of loss. 1) Loss of Bargain: This is designed to put the claimant back in the position they were in before the breach of contract occurred. However, there are numerous factors to consider: whether the damage was too remote to be able to be linked with the defendant; whether the breach of contract actually caused the loss; the type of loss suffered by the claimant; and whether the claimant sufficiently mitigated their loss once there had been a breach of contract. 2) If the claimant incurs expenses as a result of only partial performance of the contract, the defendant will pay Reliance Loss. 3) Restitution occurs when the claimant has granted the defendant with some kind of benefit and wants to claim it back because of the breach of contract. This will only be used in situations in which there has been a total lack of consideration, for example if the claimant has paid for the goods but has not received them. 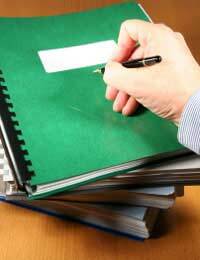 These are remedies that are designed to rectify breaches of contract. They are not granted as of right and can only be ordered by a court. However, they are each designed to put the parties into the position they would have been in if the contract had proceeded. There are two main types of equitable remedy: specific performance, and injunctions. A court may order a party to fulfil their obligations under the contract, otherwise known as ‘specific performance.’ Injunctions also order defendants to behave in a specific way, either by requiring them not to do something (prohibitory injunctions) or to do something (mandatory injunction.) Prior to trial, a court can also order a party to do/not to do something by way of an interlocutory injunction, preserving a position until such time as the issue has been decided by the court. Mandatory injunctions differ from specific performance in that an action required under a mandatory injunction does not need to be something that was a requirement under the performance of the original contract. Hi there I signed an agreement with my employer last year 1 July till the 18 July in the agreement its said "if i wish to leave the company I will have to pay the entire cost back to the company in full". A week before leaving, the flights and whole trip was postponed for a month later. Now the agreement I signed had the above mentioned dates on it and was not updated to the new dates. It's beenalmost 8 months and there has been no updated on this agreement. If I were to leave the company, can they still hold me to that agreement? @LOZA - they haven't got a paw to stand on if the booking was verbal and you haven't signed anything to agree, or there is nothing on their website. I verbally made a booking at a Cattery.I have had to cancel due to the holiday being with Monarch Airlines.I cannot book another holiday around the original dates of the School Half Term.I phoned the cattery today to advise them of my predicament and they have said that I have to pay the full amount for the cat being in the cattery. This was a verbal booking, I have nothing in writing from them, their terms and conditions on their website do not state anything regarding full payment.I have given them 10 days notice of cancellation are they right to say I have to pay in full. What about wrongful dismissal?Resign - repudiatory dismissal?Are these options. I just want to get back to my original place of employment. I hate all that is happening here. I am employed by a U.K. Company since 01/01/2017. I thoroughly enjoyed the job that I was doing, the people I worked with and the district where I was posted - I requested it when we were asked where we would like to be deployed. In June I was dismissed without any warning and policies and procedures were not followed by the company. I was reinstated after 10 days. Since then I have been relocated at great expense financially and it was mentally traumatic. I have been sitting in my apartment awaiting confirmation of where I would be working. At several meetings I requested to go back to my original workplace. Sitting in temporary accommodation I soon fell into a depression. I have sought medical assistance and was referred to a psychiatrist. I have never encountered this kind of treatment as an employee and was devastated by what was happening to me. I had requested a meeting with my managers to resolve this matter but they refused to consider giving me the stability and security that I needed, by acting in good faith. I do believe that this is a strategic attempt by managers to get rid of me, permanently, by compiling evidence against me. I lodged a grievance early in July and to date nothing has been done to resolve the matter, either informally or formally. The matter is on hold because senior managers are on holiday till mid August. I have submitted a letter to say that I am working 'under protest'. I will resign by the end of the week and claim repudiatory dismissal. I do believe that I hav been wrongfully dismissed (acknowledged by employer), they have acted in bad faith and have therefore broken all confidence and trust that I've had for my employer. What are my options? I booked a space at a cattery but now have to cancel the booking. The cattery have said I still have to pay in full even though I have given four weeks notice. The booking paper I signed said any cancellation the full fee will be charged. Can they enforce the payment? A client who was accessing a grant to train their staff contacted me. We signed an MOU which was a condition given by the grant agency. In the MOU we stated that we both agree that I perform the training. I provided them a quote for the training service.In anticipation of the work, I provided various levels of support to them even through their grant application process. Once the grant was approved the client indicated to me that they would be able to pay only about 50% of my charge for the work. When I indicated this was not possible, they informed me they were going to attempt requesting more funds from their agency. To this, I indicated I would need payment for work performed while they deal with getting extra money. They then wrote and indicated they were not going to proceed further with me as I was not cooperating with them. Is this a case of breach? And what am I entitled to? I recently saw a 3 legged chihauhau on a site not reportable, 350 said lady paid a visit said I'm happy you can have her end of Jan fine perfect, no written agreement, a few days later text me can you have her next week ,yeah fine agreed date few days later I need you to have soon as because she is on her own all day fine got delivered, paid 140 had to go into hospital & couldn't pay other 200, can't pay until next Thursday, had a text message saying she is coming to pick the dog up today sometime. My daughter was detained under section 3 of the mental health act from June 2015 to January 2016 when she was discharged under a CTO. We have since been advised that one of the Doctors had not signed and dated the section papers therefore she was detained illegally and the CTO is invalid. This now means all medical treatment she would have received free is now no longer offered to her. Can we obtain legal recourse for this matter? My consultancy agreement as an office administrative is for 1 year. And it mentions that the fee will be paid not later than 7th of every month. My first month they issued a check on 10th and my 2nd month fee is not paid till now. I asked for my fee on the 18th I was told to hang on. So on the 19th I wrote an email saying I am not reporting to work until my fee is paid. The lady boss whatsup msg saying noted will arrange asap. Tq till now no payment yet. Is it considered a breach of contract? Do I still need to give my resignation notice? Can they take any action against me for not going to work? I lost my dog of 11 years in May and after a lot of agonising my wife and I decided to get another one. We did a lot of research and eventually contacted a so called reputable breeder. A price was agreed,£1200, and deposit paid,£200. We were due to receive our pup on the 6 th of November but the breeder has contacted us stating that she will not be selling us a pup as she wishes to keep it for herself. We have a letter headed receipt for one male Dobermann. I view this as a contract. We have spent a bit of money making ready for the arrival of the pup.We are devastated as this was not an easy decision to reach in the first place. We think the breeder has had a better offer for the pup and we have been dropped.Can we force the sale to go ahead as promised or can we sue for breach of contract.Thanks for your advice in advance. Unfortunately, while it looks like a breach of contract has been made, attempting to force the contract will cost money. The most you can expect to gain from this would be monetary compensation in the form of damages or expenses. However, the court will still have to determine whether it thinks the terms of the contract are enforceable. If you were given terms of agreement when paying the deposit, it would be worthwhile you looking through it to see if your buyer has given hersef a get-out clause. I lost my dog of 11 years in May and after a lot of agonising my wife and I decided to get another one. We did a lot of research and eventually contacted a so called reputable breeder. A price was agreed,£1200, and deposit paid,£200. We were due to receive our pup on the 6 th of November but the breeder has contacted us stating that she will not be selling us a pup as she wishes to keep it for herself. We have a letter headed receipt for one male Dobermann. I view this as a contract. We have spent a bit of money making ready for the arrival of the pup. We are devastated as this was not an easy decision to reach in the first place. We think the breeder has had a better offer for the pup and we have been dropped. Can we force the sale to go ahead as promised or can we sue for breach of contract. Thanks for your advice in advance. I have recently been involved with elkador finance they pestered me into checking a claim as I suffer from fibromyalgia and am often tired and confused I signed the paperwork they sent me and as they stated they were no win no fee wasn't so worried at the time, they said they would give me a call at a later date to see how I got on, as I understood it they would take their share if the claim was successful, they advised me I would get around £1300, I received £1000 and assumed they had taken they're share now they are billing me for £400 do I have to pay this as there is no breakdown of the bill and I don't understand how or why I have to pay this, please help as they are also threatening me with late fees. We have signed a sale in partnership agreement where have purchased the partnership units of the exiting partner. The Vendor has now breached a number of clauses in the agreement by entering the premises without prior consent and we are considering our options. The total sum of their share is still being paid to them by monthly instalments, as per our contractual agreement. I would really appreciate your help. @Winonah - I'm afraid we can't really advise on this as we are a UK-based site and it looks as though you are based in South Africa, the breach of contract laws may differ. Can you advise me what sort of settlement amount is reasonable or what action I should take. My employment was terminated before the end of a 6 month probation period (3 months into the 6 month probation period). A settlement agreement has been emailed to me however no reason for termination is given. In my employment contractit states that I should have received a job description and training and not either of these was forthcoming, this is on record with HR. I requested verbally and in writing for a set of earphones as I answer all incoming calls and as a result am suffering from neck pain and spasms - I was told that these were too pricey and a cheaper option was being investigated - no earphones were forthcoming during my employment with this company.I have worked a total of 5 and a half months - after working an initial 3 months probation my temp contract was made permanent in December as I was found to be a very hard worker.I was informed yesterday that another employee's probation was also suddenly and without notice terminated.The company are due to pay bonuses in March - interesting that they are terminating employees just before this bonus payout.I hope you can assist me. @Ravishankar - I think this is something you would have to take up with a solicitor as it very much depends upon the contract. Houseful of double-glazed windows installed by national company.Apart from the sloppy work, there was a waterfall coming through top of one window on first rain, and rooms very cold at window-end of rooms after.Also cement windowcills have been smashed and water pours into the cavity.Three years of negotiation and survey reports, also report from BBA (FENSA inspectors) - the true horror is revealed.All windows are too small - hands can be put over the top, through to outside, and cavities have been left open all round all windows.All these spaces have been hidden from view by strips of plastic AND that plastic has not been sealed = constant flow of warm air out, and cold air in, same as having each window open 24/7.This is surely Trading Standards matter, but they won't deal with public.BBA report states it has failed Building Regs on thermal transfer and on structural stability = unsaleable house now.Where is the Authority to deal with this?? why is the lone householder left to deal with this alone? ?Is there no law in this country now?